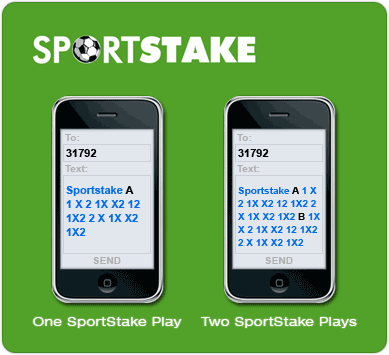 To play the SportStake game, you have to correctly predict the outcomes of a series of football matches. Usually, Sportstake players will have to correctly predict the outcomes of twelve predefined matches drawn from local South African, UK and other chosen pro soccer fixtures. Take note that definitions will vary depending on whether the match is a (1), (X), or (2) type game. A (1) game is a home win, which means that you are predicting that the team noted first on the fixture list will win a certain fixture. A (X) game is a draw, which means that you are predicting that the two teams will finish with the same score in this certain fixture. A (2) game is an away win, which means that that you are predicting that the team noted last on the fixture list will win a certain fixture. What if a Fixture is Abandoned or Cancelled? If a fixture is abandoned, cancelled, or it starts before the end of sales as published, every prediction bet for that SportStake fixture event would then be treated as a correct prediction. Fixture results will then be displayed with a 'C' for cancelled fixture, an 'E' for early fixture or an 'F' for both. Each wager with 1 of these letters next to it will be treated as a winning wager. You can buy Sportstake tickets from any Lottery outlet on Mondays to Fridays between the hours of 6:00AM and 11:00PM. Tickets are also on sale on Saturday between the hours of 6:00AM and up to half an hour before the first announced fixture time. Take note: Each fixture list will have twelve fixture listings. Teams that participate in the fixtures will be listed as either part of a home team or a visiting team. The team that is mentioned first will always be the home team, whereas the second team will be the visiting team. The SportStake prize fund comprise of fifty percent of the net total sales. Division one will get 35%, division two will get 20% and division 3 will get 45%. The Jackpot will have a rollover if no one wins the prize.